Lazio host Inter Milan as Serie A draws the curtain on on another season on Saturday 20 May. Read the match predictions to find out why Lazio is the football betting tip to beat Inter Milan at the Olympic Stadium in Rome. Lazio will be feeling the pressure having allowed the fate of fourth spot come down to the final game against Inter. Draws in each of their last two games mean Lazio must avoid defeat on Sunday or hand the final Champions League slot to Inter by virtue of a better head-to-head record. 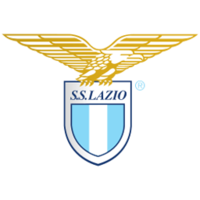 Simone Inghazi is sweating on the fitness of Marco Parolo, Ciro Immobile and Luis Alberto who have been integral in Lazio’s bid to return to the Champions League. Stefan Vrij is also a doubt with reports suggesting the Inter-bound central defender will miss the game due to contractual obligations. Inter Milan manager Luciano Spalletti has no injury concerns following Roberto Gagliardi’s return to training. The 24-year-old midfielder had been a regular this season but remained on the bench for the whole of the 2-1 defeat to Sassuolo on Saturday. While Spalletti will consider making changes, Matias Vecino and Marcelo Brozovic seem to be the preferred option in the centre of the park. Lazio are the highest scoring team in Serie A with 84 goals so far this season and have scored in nine of the last ten league games. Their home form has been erratic this season and although they are unbeaten in the last five home games, have only won two of the last seven. Lazio drew their last home game 1-1 against Atalanta and missed the opportunity to seal fourth place when held to a 2-2 draw at Crotone last time. 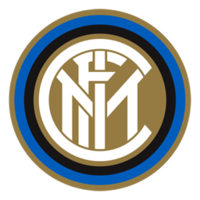 Inter go to Rome on the back of a 2-1 home defeat to Sassuolo but will take encouragement from victories in their last two away trips, winning 4-0 at Udinese two weeks ago following the 2-1 win at Chievo. Much will depend on the fitness of Lazio’s doubtful trio. Immobile and Alberto have contributed 40 league goals between the and are players that could swing the game in the home side’s favour. Inter have won two of the last three games against Lazio in Rome and the reverse fixture this season finished a goalless draw. So far this season, Lazio have won nine, drawn four and lost five of 18 home games in Serie A, keeping seven clean sheets and failing to score three times. Inter Milan have won eight, drawn seven and lost three of 18 away games, keeping seven clean sheets and failing to score seven times. Compare match odds for Lazio vs Inter Milan. Select from the drop down menu to compare odds for Both Teams To Score, Over/Under and Half Time/Full Time markets. Get the best odds for Lazio vs Inter Milan and improve your betting results. Open a new account with online bookmakers and get free bets. Bet on Lazio vs Inter Milan and receive a free bet or get a free bet on Lazio vs Inter Milan.